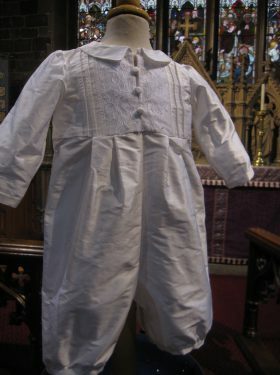 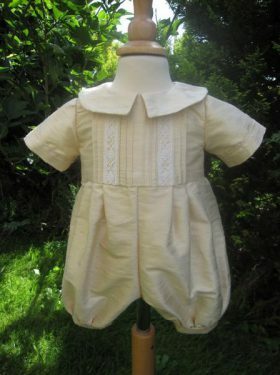 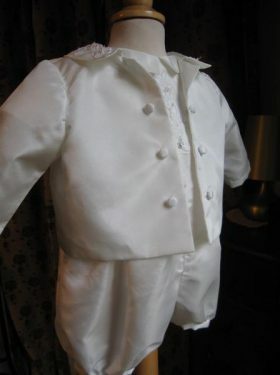 Cute Boy's Christening Jacket with tails that will really make your baby boy stand out. 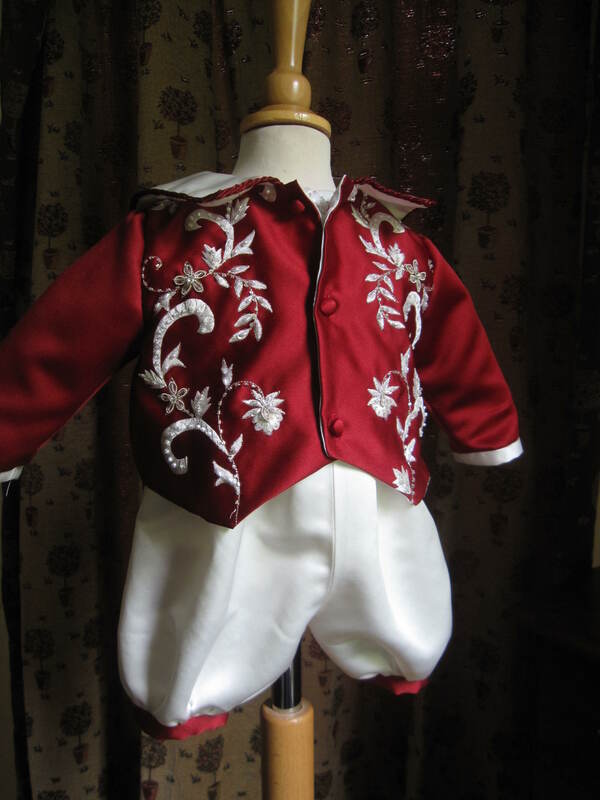 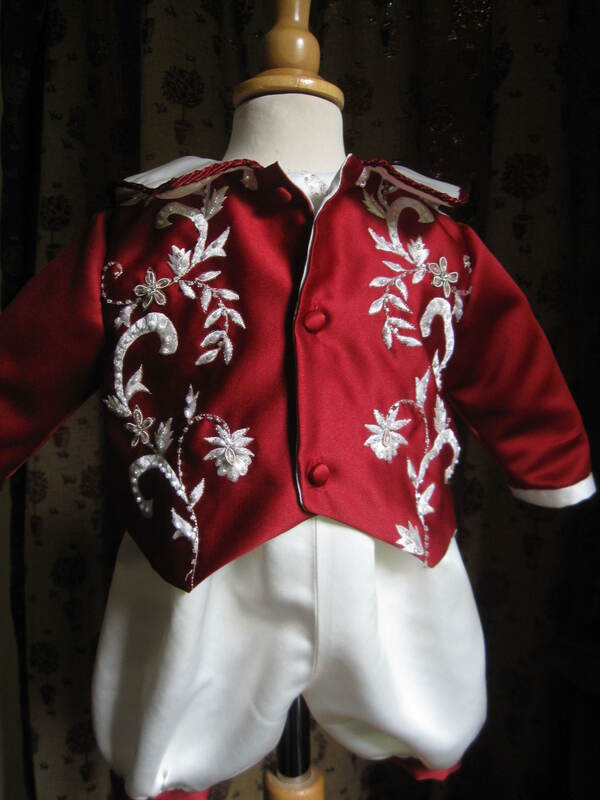 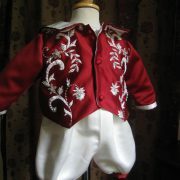 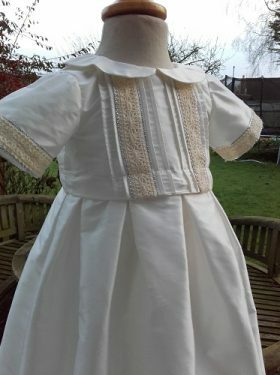 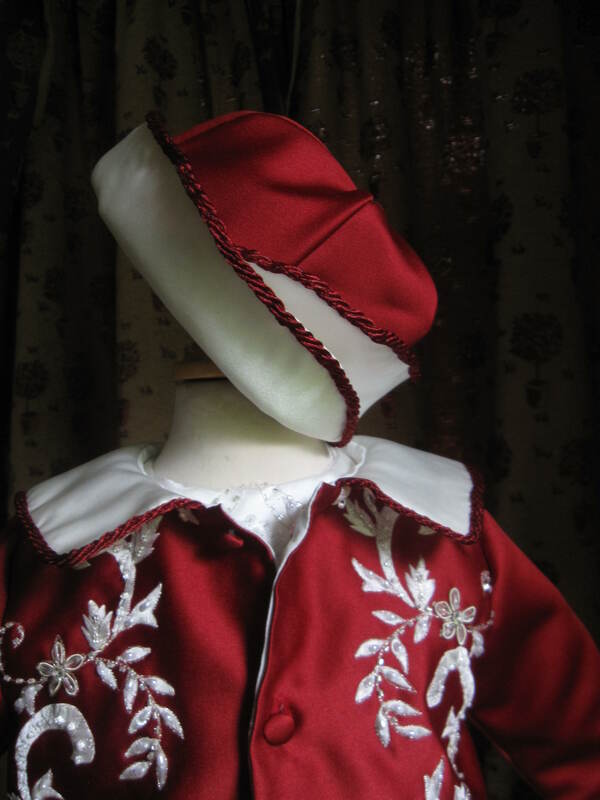 Part of a grand Baptism Outfit, the jacket is dramatic and will be sure to make heads turn! 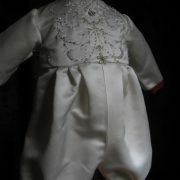 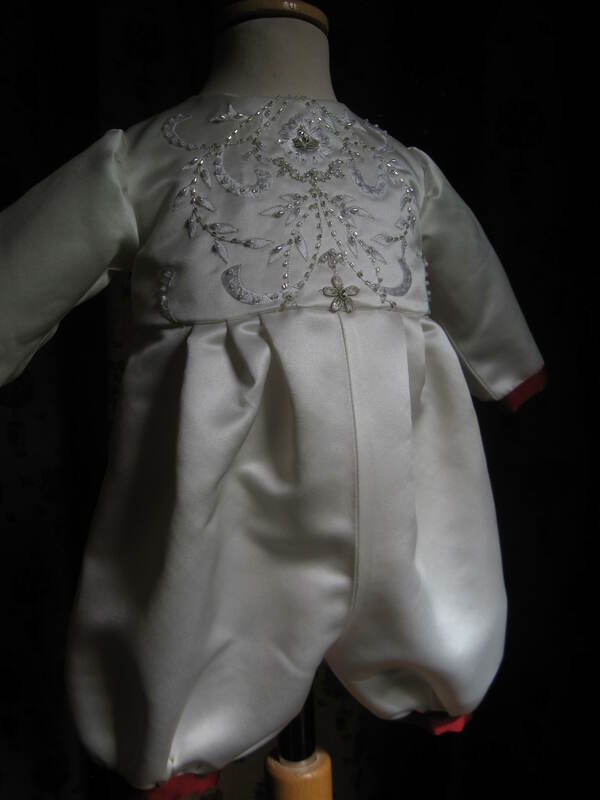 The Christening jacket shown has been created from satin with a stunning coloured front with applique detail. 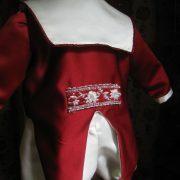 The same applique is shown on the reverse as a tab at the back. 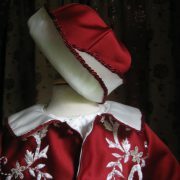 A white contrasting collar with piping completes the design. 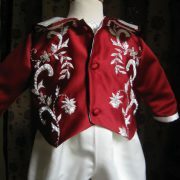 But it is the tails on the jacket that make this a statement piece. 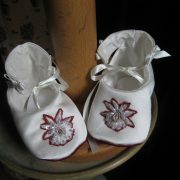 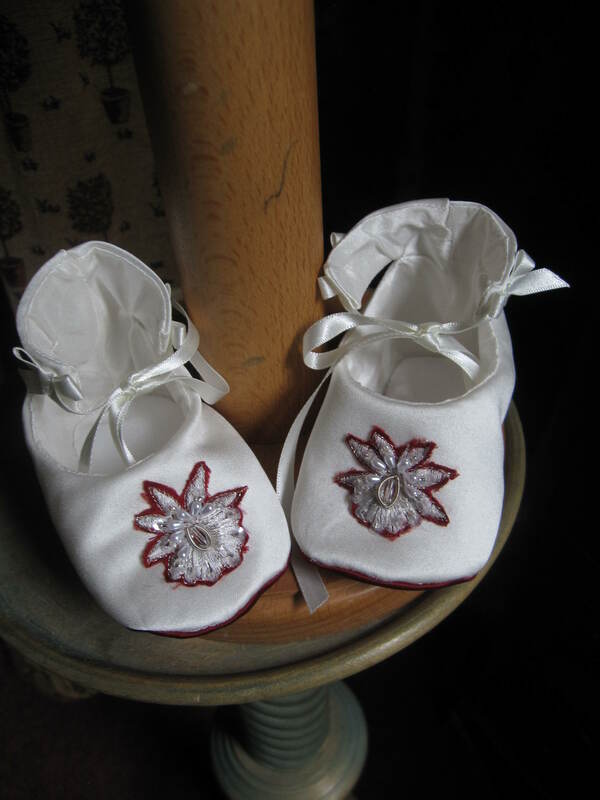 They really are cute and stylish, ideal for your son's big day. 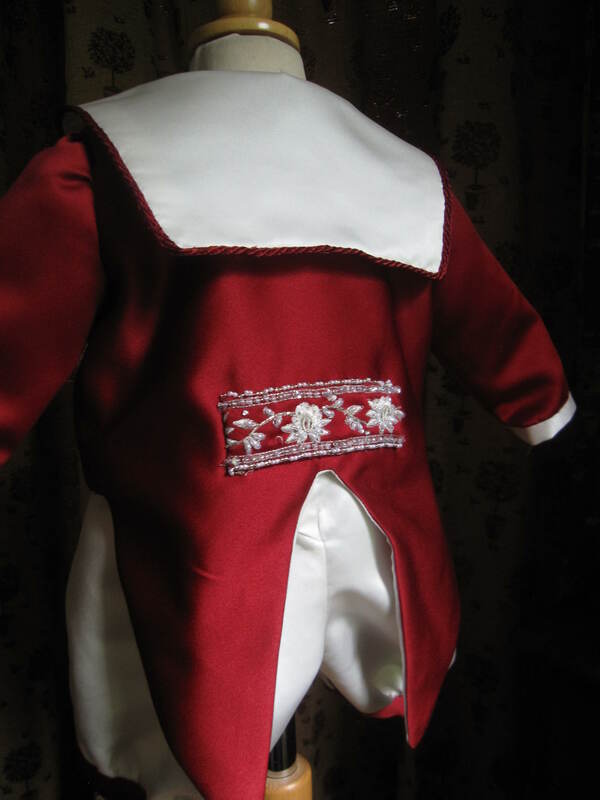 Please note we can also create this jacket in a more traditional style without the tails at the back.